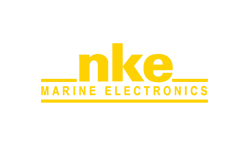 Founded in 1984, NKE Marine Electronics develops and sells a range of electronic measuring instruments and autopilots for cruising and competition boats. NKE Marine Electronics equips many prestigious racing boats that participate in: the America cup, the Solitaire du Figaro, the Route du Rhum, the Mini Transat, the Vendée Globe, the Atlantic Cup… NKE is located in France in the heart of the Sailing Valley near Lorient. 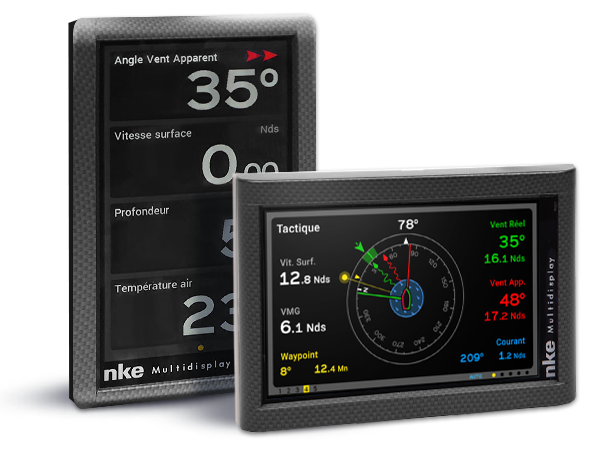 NKE Marine Electronics previously developed a multi-function display with a monochrome display and they wanted to upgrade the product with a more attractive and intuitive user interface using a larger colorful display. NKE rapidly discovered that modern user interface design is a complex task and solutions provided by MicroEJ would help a lot in reaching they goals: keep the electronic simple and robust while accessing to modern software technologies. The graphical interface aspect in electronic products has become very important to drive new sales in every industry and especially in the sailing market. Thanks to MicroEJ Virtual Device and its simulation capabilities NKE engineers were able to prototype and to find the intuitive way of informing sailors with complex data. 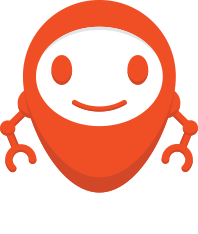 The featured rich graphical library allowed them to design unique graphical widgets, fully dedicated to their concerns. Product on boats are usually long life-time products. Products marketed by NKE have a lifespan of more than 10 years and thanks to the industrial grade platforms provides by MicroEJ, NKE is able to maintain their software platforms and applications and to release upgrades as boat electronic instrument systems are evolving. The new Multigraphic product with a colorful display only took 7 months to design the electronics and the application software including the feature-rich graphical user interface. The positive effect on turnover was immediately felt as NKE has attracted new customers after adding new Graphical User Interface (GUI) and advance functionality. Low consumption thanks to a luminosity sensor. NMEA input and monitor page.